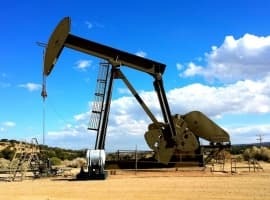 Oil prices took another dip on Monday, and with WTI down to $49 per barrel, crude oil has given up most of the gains that it had made so far this month, taking prices down to their lowest levels since late March. Major investors are also losing a bit of confidence in oil’s comeback. Hedge funds and other money managers took a breather in the buildup, buying up long positions in the most recent week for which data is available. Much of the rally in oil prices between the end of March and mid-April occurred as investors closed out short positions and took on bullish bets. Since then, however, hedge funds have slowed their net-long builds, a sign of waning confidence in higher oil prices. Recognizing that the task of balancing the market is far from complete, OPEC’s monitoring committee, which was charged with overseeing compliance with the collective production cuts, has endorsed a six-month extension of the deal. The endorsement means that unless something unforeseen happens, OPEC will push for a passage of an extension at its official meeting in May. The only roadblock to keeping the cuts in place through the end of the year at this point is Russia, although most analysts don’t expect them to stand in the way. Related: Is Australia The Next Big Thing In Shale? That should help push oil prices back up. However, the meeting is several weeks away. In the short run, oil prices are floundering amid growing concerns about oversupply. As has been the case since the beginning of the year, the main dynamic is how the OPEC production cuts stack up against the pace of growth from U.S. shale and others. By the end of the year, the U.S. could add 860,000 bpd of new supply, a sharp increase from expectations from just six months ago. The upward revision comes even as oil prices have failed to move much above the $50 per barrel threshold. In other words, U.S. shale drillers are “roaring back,” as Goldman Sachs recently put it, at a much faster clip than everyone expected. And the gains are coming even as oil prices are not rising as much as many had hoped. On the other hand, the weakness in the market could be starting to deflate the momentum of U.S. shale – the blistering growth rate is starting to show some signs of slowing down. For the week ending on April 21, the shale industry only added 5 oil rigs back into operation, the lowest weekly figure since February. The previous five weeks saw rig count increases more than twice as high. The silver-lining for them, however, is that because the market is showing some cracks in it, OPEC almost has no choice but to extend the production cuts for another six months, for fear of risking a slide deeper into the low-$40s. Has The OPEC Deal Been A Success? i know that its Nick writing the article before i even click to find the author. consistently bearish, seems pretty biased. The author made that claim to support a bear case. Contango has been trending toward backwardation for weeks now. Now it's even entered backwardation beyond 15 months or so. The first year manages to increase a meager dollar, then a one months jumps $2 and change before entering backwardation. Claiming a return to contango in this scenario sounds like reaching for a point and coming up with nothing. Considering all the geopolitical hotspots, and especially in the Middle East, the possibility of another oil shock before the end of 2017 is very plausible. Then you can throw all the expert analyses and charts out the window. There is no reason for a barrel of oil to be above $30 a barrel except for the fact that the entire industry, and other industries like the banks and market have been doing everything in their power to push up the price of oil. 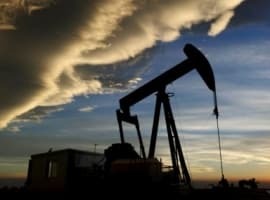 There is a glut of oil sloshing around the world, and the OPEC cuts did nothing but keep it from growing by leaps and bound even while everybody knows many are cheating While Saudi Arabia has exceeded its own cuts to keep the cutbacks from looking like a complete joke, and provide cover for the industry and markets to artificially push up the price. It has accomplished one thing. $50 a barrel stopped the decline in the USA and that supply is growing. OPEC can extend their cuts as long as they want. That will just guarantee that more and more countries will cheat more and more, and if they can keep the price around $50 a barrel that will continue to support additional production in the USA. Sooner or later supply and demand will win. OPEC can't call the shots anymore, and the longer they try the bigger and longer the crash. There are oceans of oil around the world, and new technology has made it possible to access it at ever lower prices even while renewable energy source that don't pollute as much as oil and gas continue to increase and get cheaper. 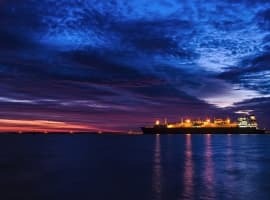 We are headed into an era of permanently lower energy prices, and attempts to keep the price of the current largest source of energy oil artificially high are doomed to fail.